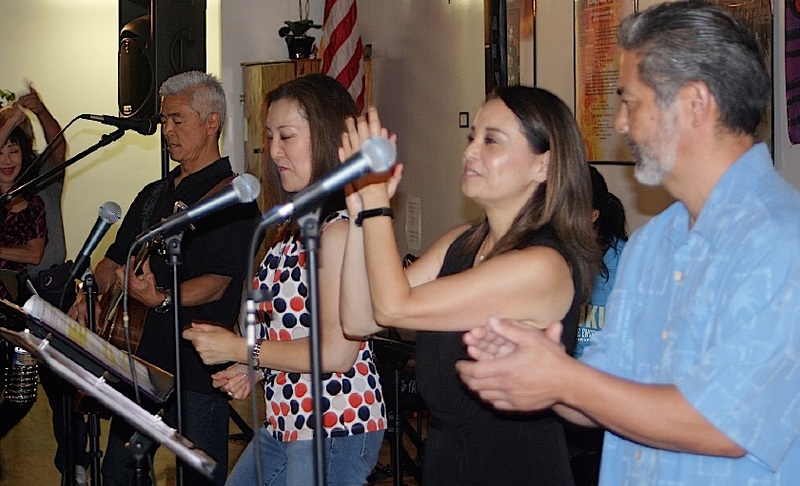 GARDENA — The Grateful Crane Ensemble presented a series of special concerts for Sansei and other Nikkei caregivers at three locations — Oxnard Buddhist Temple on Nov. 3, Orange County Buddhist Church in Anaheim on Nov. 11, and Gardena Valley Japanese Cultural Institute on Nov. 18. 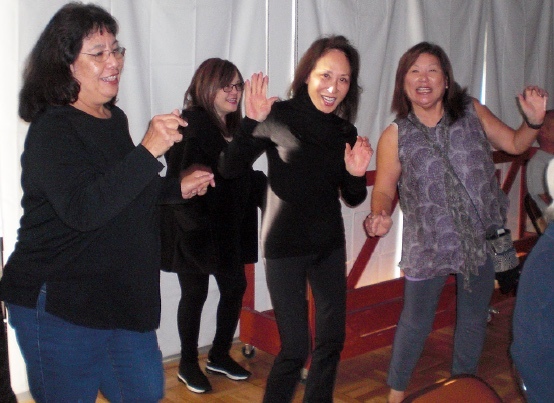 Funded by a grant from Keiro, the free concerts were designed to provide a much-needed break from caregiving and bring back those carefree days of dancing to the sounds of Carry On, Free Flight and Winfield Summit, and the after-dance good eats at Holiday Bowl or Mago’s. Soji Kashiwagi of Grateful Crane gave opening remarks. Grateful Crane singers Keiko Kawashima, Kurt Kuniyoshi and Helen Ota were joined by special guest Brian Yamamoto from Loco Mojo and The Ronin Stones. The musicians were Scott Nagatani and Hiro Morozumi on keyboards, Danny Yamamoto on drums, and Brian Yamamoto on guitar. The songs, mostly from the ’60s and ’70s, included “My Girl,” “My Guy,” “At Last,” “Just My Imagination,” “Don’t Let Me Be Lonely Tonight,” “Blue Bayou,” “The Best of My Love,” “La Vie En Rose,” “Ue wo Muite Arukou” (Sukiyaki), “Summer Sun,” Sitting in the Park Waiting for You,” “For the Love of You,” “That’s All,” “Ooh, Baby, Baby,” “Jailhouse Rock,” “Hello Stranger,” “Ain’t No Mountain High Enough,” and “What’s Goin’ On.” Similar sets were performed in Oxnard and Anaheim. Attendees were encouraged to get up and dance, and many did. A post-concert reception was an opportunity to talk about the good ol’ days and find friendship, support and camaraderies from shared experiences as caregivers.